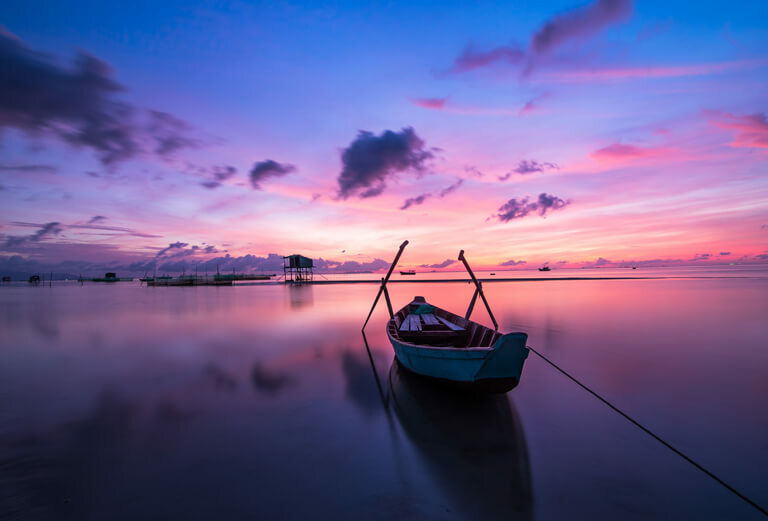 The secret’s out: Vietnam is open for business, and offers productions a nearly untapped smogasboard of exotic and adventurous locations. Although still not feature film friendly, TV and corporate projects are mostly welcomed with open arms. This is where we began, all those years ago, and we know the place inside out. Take advantage of our knowledge and experience, and prepare yourself for one hell of a shoot! While Vietnam cities can sometimes overwhelm with chaotic scenes, none can deny the quaintness and (yes, even beauty) of Asia’s Grand Dame, Hanoi, the history of Hue, or the sheer energy and go-go attitude of Ho Chi Minh City. 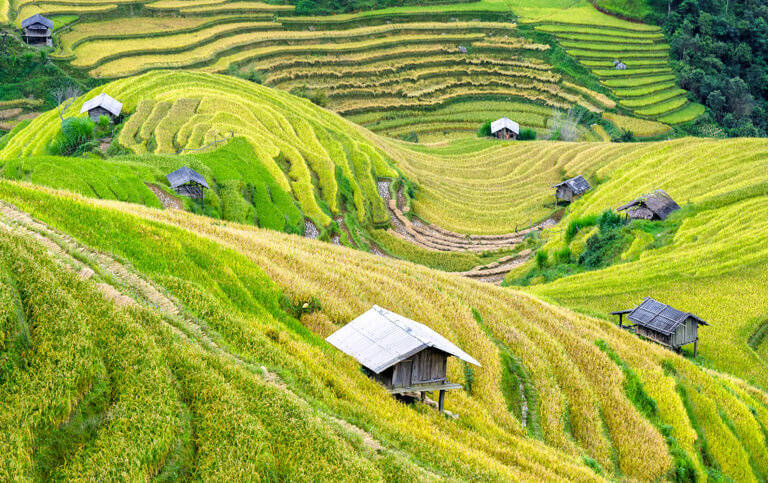 Vietnam’s north is one of the most texturally rich and diverse regions of Vietnam. Behold the limestone karsts of Halong Bay, the mystical highland villages and ethnic minorities, the Red River Delta and rice paddies of Sapa. Chaotic, bustling cities that film themselves! Poor infrastructure renders land transportation lengthy and therefore, possibly costly. By law, every foreign shoot in Vietnam requires a filming permit, issued by the Ministry of Foreign Affairs or the Ministry of Culture and Information. Cast and crew also need special visas to allow them to enter the country for filming purposes. Our great relationship with the press office and respectable authorities allow us to get permits quite painlessly. Still, before we accept any new client, we always check with our contacts at the press office to ensure that the project will not be refused permits sometime down the road. As such, all prep, scout, research and bookings must be done BEFORE applying for the permits. Applications must normally be handed in 15 working days before the start of the shoot, though at times exceptions can be made. Still, to alleviate sleepless nights, it is best to apply sooner than later! Most foreign crew members must have a visa before entering (some foreign nationals are exempt. Contact us to check if this is applicable to your crew). As part of the permit process, we also take care of your visa applications. Once processed, we will send you a special number. Armed with this information, and your crew’s passports, you simply need to head to your local Vietnamese embassy and collect your visas. Local fees apply, usually in-line with normal tourist visas. The press office will assign a press officer to your production, and this will be the same individual the entire time. As such, please allow for his transportation, accommodation and meals in your budget. You must also schedule enough time on your last day to have the tapes checked. This is now mostly a formality, where the tapes are signed, stamped and sealed, enabling your footage to be passed through customs on the way out without any problems. Depending on the amount of footage, this can take from a single hour to half a day, if not more. Special consideration can be made for tape-less shoots. The south has three somewhat distinct seasons: hot and dry from March to May/June; rainy from June/July to November; and cool and dry from December to February. April is the hottest month, with mid-day temperatures of 33°C (91°F) or more most days. During the rainy season, downpours can happen every afternoon, and occasional street flooding occurs. Temperatures range from stifling hot before a rainstorm to pleasantly cool afterward. Mosquitoes are most numerous in the rainy season. December to February is the most pleasant time to visit, with cool evenings down to around 20°C (68°F). In the central regions the Hai Van pass separates two different weather patterns of the North starting in Lang Co (which is hotter in summer and cooler in winter) from the milder conditions South starting in Danang. North East Monsoon conditions September – February with often strong winds, large sea swells and rain make this a miserable and difficult time to travel through Central Vietnam. Normally summers are hot and dry. Although Vietnam has its fair share of national holidays, they usually don’t pose too many problems for productions. The big exception to this is TET, which renders the country unworkable. Usually landing between the end of January and the end of February (contact us to know the next dates), it is basically not worth it to plan a production during that time, give-or-take 1-2 weeks on each end. Crews will be off, transportation will be booked solid, and in any case, it is doubtful the press office will honor any permit applications. 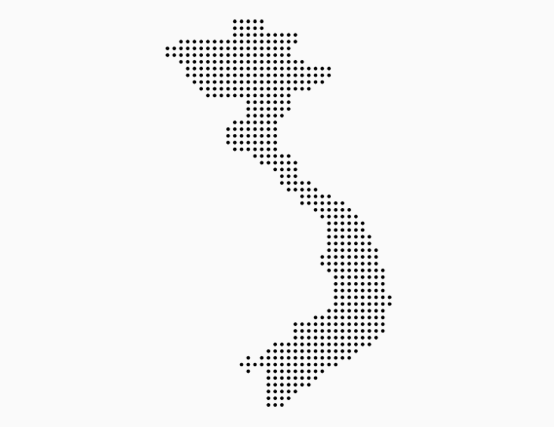 Vietnam is NOT a carnet country. However, to be safe, we do ask that you send us a complete equipment list. The press officer will then be able to fix any problems that could occur at the airport. What's the word on local transportation? Van costs in Vietnam are fixed to the KMs, and as such, it is difficult to price this without knowing exact locations and a good idea of the schedule. However, van costs include not only the driver’s fee, but also petrol, parking and tolls. As such, this makes Vietnam quite affordable in terms of land transportation. However, the poor state of roads and the sheer amount of traffic at all time of day makes it near impossible to travel faster than 60km/h. Any land travel takes more time than westerners are used to, and this can incur costs in terms of overtime, etc. Night travel on Vietnam’s highways is strongly discouraged, as the country has some of the world’s worst road accident statistics. Flights are usually on time and affordable. 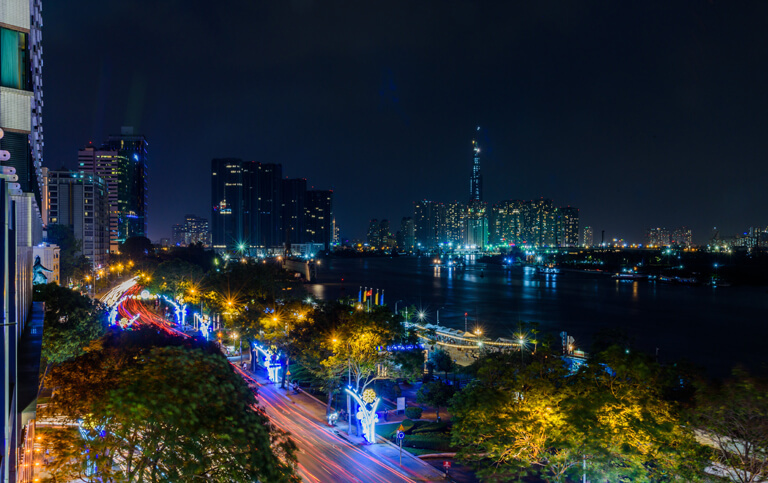 Chances of direct connections improve greatly if leaving from either Hanoi or Ho Chi Minh City. These two cities hold the only true international airports. If your production lends itself to the idea, than motorbikes are by far the way to travel in Vietnam. It would be odd, for example, to film a travel show here without the host traveling by bike. The country’s love affair with anything on two-wheels even persuaded the boys of Top Gear to ditch cars for a trio of bikes! In the two biggest cities of Hanoi and Ho Chi Minh City, you’ll find every possible range of accommodation, though there’s a bit of a limbo area between 4 stars (bad value for money) and 5 stars (quite expensive). Three star hotels often offer the best balance between expenses and cleanliness/safety. In the other main cities (Hue, Nha Trang, Dalat, Danang, etc), excellent value can be had with higher-range hotels, whilst the quaint village of Hoi An arguably offers the best bang for the buck. Outside of these areas, though, accommodation can start to feel quite basic, with slow-to-no WIFI and bland restaurants. However, it’s also very cheap, and a dollar saved on hotels is a dollar one can spend on the actual production!